By now I’m sure you’ve noticed… We are Barbie fans. Being a #girlmom it’s impossible not to love a brand that invests and cares so much about empowering woman and inspiring little girls to become all they’ve ever imagined. Mr. Perfect and I agree, we want to teach our girls that they can be anything they want to be and do anything they want to do. They can and should – Dream BIG! So, when we were asked to review the brand new Barbie: You can be Anything series, we simply couldn’t refuse. 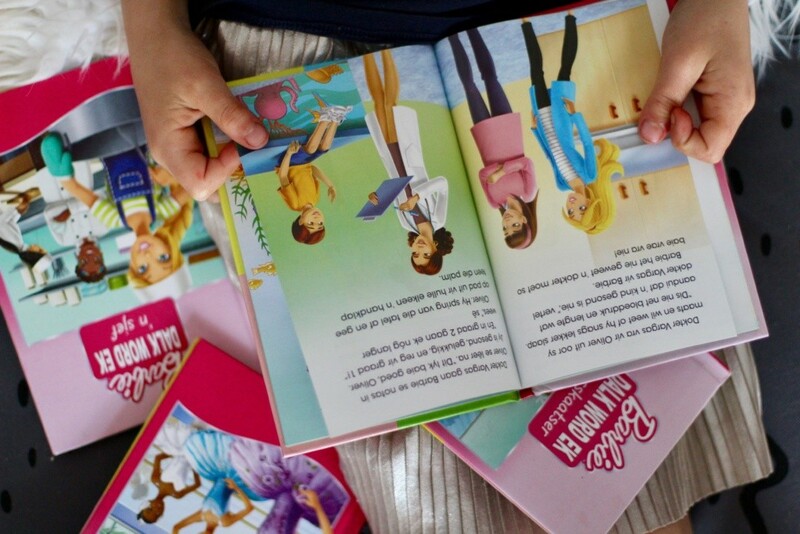 This is a phrase the Barbie brand stands by in all they do and like the dolls, these books strive to provide girls with a positive role model. Barbie, a young woman that set goals for herself, that dreams big and accomplishes whatever she set her mind to even in the midst of challenges. Who are the books aimed at? Obviously aimed at young girls, these books are ideal for a variety of ages. Eliana and Lia are both still too young to read by themselves but enjoy these as the perfect bedtime stories. When they become older and learn to read independently this series can be used as a transition from early readers to young novels. The font used in this book series is a “grade one” font making it easy to recognise letters of the alphabet and sight words, building confidence and encouraging little ones to learn to read. The series is also available in English and Afrikaans, making the books available to a new group of emergent readers. Hopefully the success of this series will motivate translation into even more African languages too. The 1st draw is obviously the illustrations. 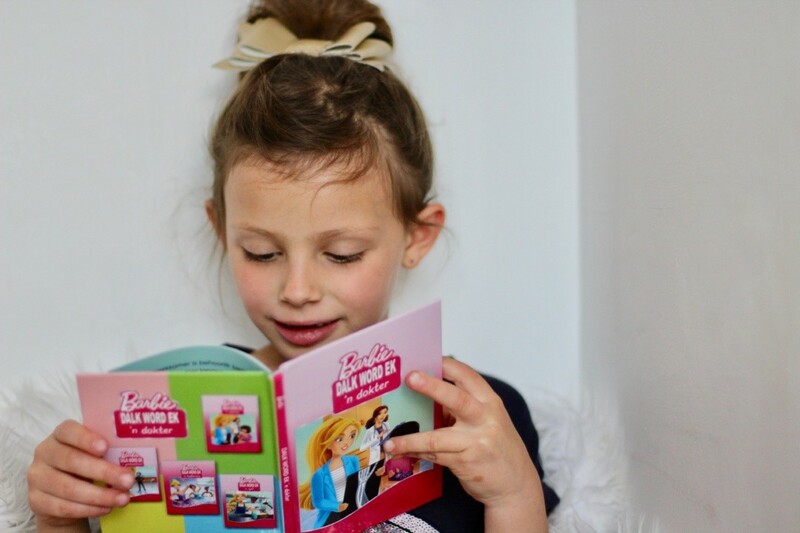 Even little Ava can’t resist the beautiful, bright pictures and Eli and Lia are always excited to see Barbie take on new roles and professions. It’s however not only pretty picture but also great stories. 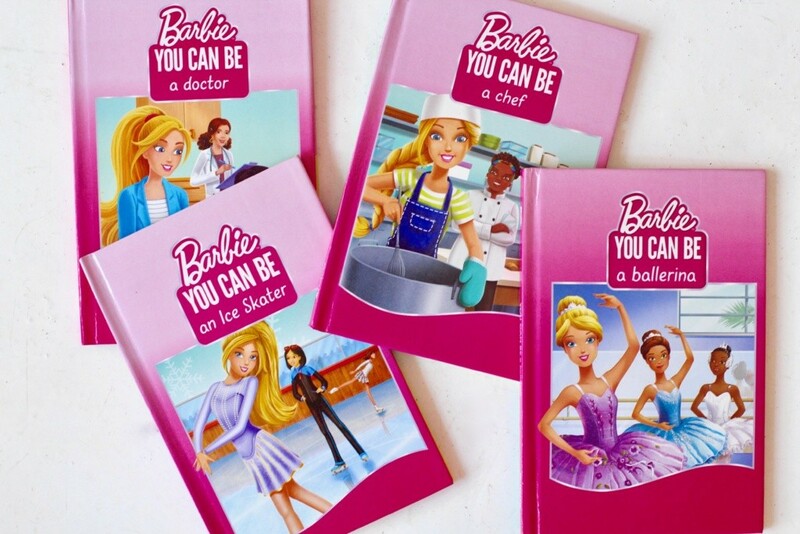 Each book tells about a particular challenge experienced and life lesson Barbie learns while exploring different career paths. When Barbie volunteers at the doctor’s office she gets a glimpse of the daily tasks paediatricians face. Good hygiene habits are also highlighted and helping young patients overcome their fears of visiting the doctor. Different procedures are shown in the story as Oliver gets a check-up and Lily has a cast removed from her broken arm. Barbie gets cooking lessons from a chef after she tries to make dinner for her friends but it turns out horribly. 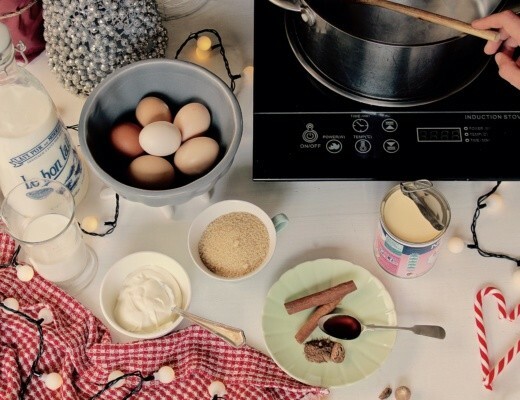 Lia is our little master chef and had a good giggle with Barbie as she tried her hand at making Macaroni… In this story Barbie doesn’t just learn a new recipe but she also realises the importance of rules and following instructions. And which little girl doesn’t dream about becoming a ballerina at one stage or another? Barbie and her friend, Teresa want to be professional ballerinas. They practice, concentrate and work hard at mastering every dance move. While visiting the local ballet company they get a glimpse into the world of professional dancers as well as the hard work and determination that’s needed to succeed as well as the wonderful rewards. In the last book of this series, Barbie learns to figure skate but not without a few “bumps along the ice”. It’s a story about determination and responsibility as Barbie must learn the consequences of being tardy. At the end our “shero” perseveres teaching fans to take responsibility and to never give up. Barbie has friends from all walks of life and a variety of ethnic groups. Throughout the series familiar and new characters of different races are included. I love how this encourages inclusivity, acceptance and tolerance. All values we aim to instil in our girls. Leading bookstores and retailers such as PNA and Bargain Books across the country stock the Barbie “You can be anything” series. The set includes 4 titles with Barbie investigating a career in figure skating, being a doctor, a chef and a ballerina. Please leave a comment below sharing your favourite Barbie or a career she practised. It can be something you remember from childhood or something new. Maybe a career you hope to see her in soon. Also, feel free to SHARE this post with all your #girlmom friends and Barbie fans too. Competition closes on the 2nd of October 2018. 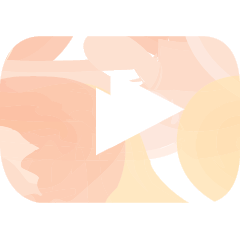 The winner is picked at random and announced on the 3rd of October 2018. The greatest care will be taken when mailing your prize but Just a Mamma and Blue Horizon Licensing do not accept any responsibility for lost, stolen or damaged goods. 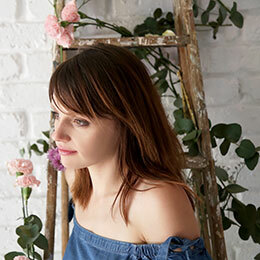 Video Courtesy of Blue Horizon Licensing and Bespoke Communications. When I lived in London I saw the Ferrari F1 driver Barbie in Hamley’s. I wish I bought her!! She was awesome! 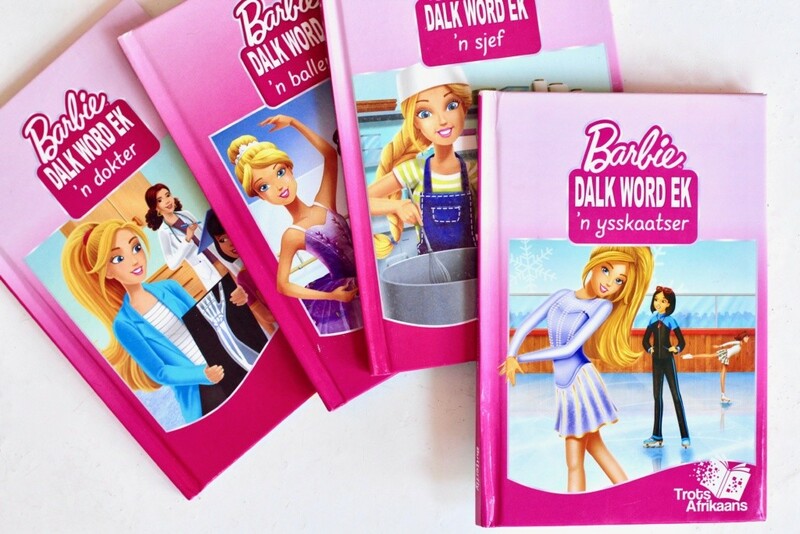 I would love to see barbie as a mechanical engineer <3 I think it is great that they are casting her in a variety of careers and showing you can be more than a pretty face 🙂 My girls love their book with barbie as a vet. When I was a little girl I absolutely loved the Hollywood Star Barbie. I would love to see an astronaut Barbie as my little girl has recently become obsessed with space and has started turning everything she can into space rockets. i had 32 beautiful barbies and my biggest regret was giving them away ! i was and still am barbie crazy ! One of my favorite barbies was my Hollywood barbie i wanted to be glamorous like her! also i LOVED her beautiful looong hair ! Barbie Doctor. My daughter says she wants to be a Doctor and I’m definitely sure these books would be her favourites. 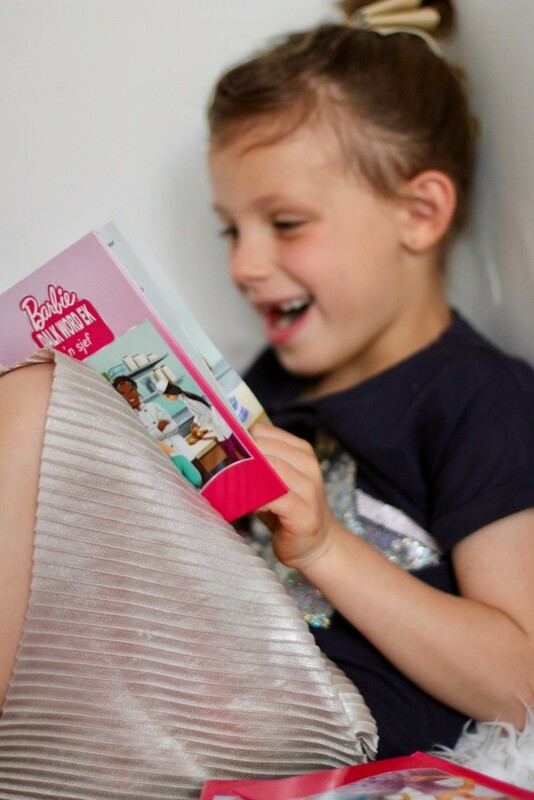 She would love a Barbie book to inspire her. My little girl (4) and I love all things Barbie, but my favourites are definitely the new curvy Barbie, and scientist Barbie (with lab coat and microscope). My daughter is still getting into Barbie but when I was growing up I loved all barbies but my best was the Barbie motor home – it never came and still has never come to SA. My dad got it for me on one of his work trips to the USA. Now I wish I hadn’t given it away when I was 18 so that my daughter could play with it. I would love to see a blogger/brand influencer Barbie… I think it is something very relevant to our times. It would be interesting to see Barbie push the boundaries on career choices as our girls will be entering a very different working world to the one we all are part of. Fond memories I remember when there was a Police Officer Barbie which I absolutely loved as it was a career I wanted to go into. Barbie in her officers uniform made me want me to become a police officer . I wanted to Protect people and be strong. Beautiful memories of years gone by. Loved these Barbie Dolls and was blessed with a precious daughter who loves Barbie too. I loved Barbie as a child especially making clothes and dressing her up. As a child I always wished that Barbie was diverse not only in career but in race as well. I am so glad my daughter gets to grow up in a world where Barbie is diverse in all aspects of real life. I would like to see astronaut Barbie (not sure if there is one). 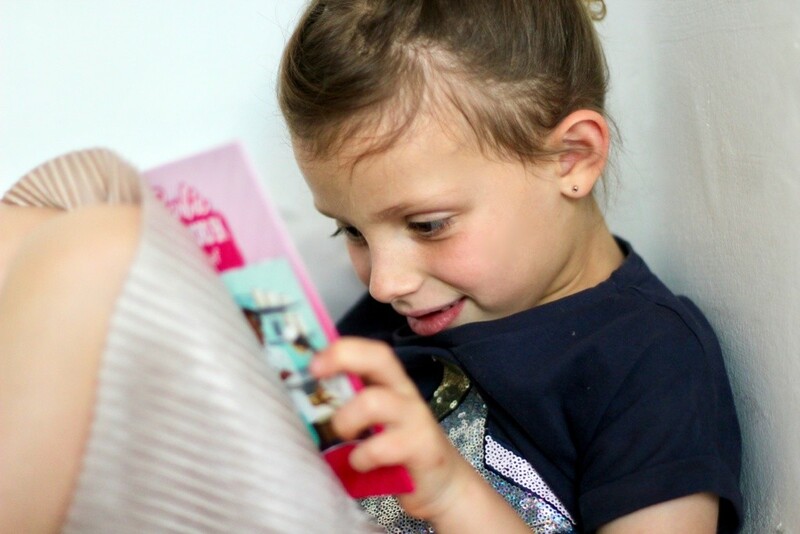 My daughter loves all the Barbie movies and what an awesome way to get her to love reading as well. I have two daughters now and they love to play with Barbie Dolls. My 8 year old wants to be a physiotherapist wen she grows up. After she broke her femur bone in an acvident, she cudnt walk for 6 months, its was an ordeal, she had to undergo an operation to mend her broken bone and many hours of physio. Today she walks with a slight limp. Shes 8 year. My granddaughters love barbie, they love dress up game. Styling her hair so I think she would love to be beautician. 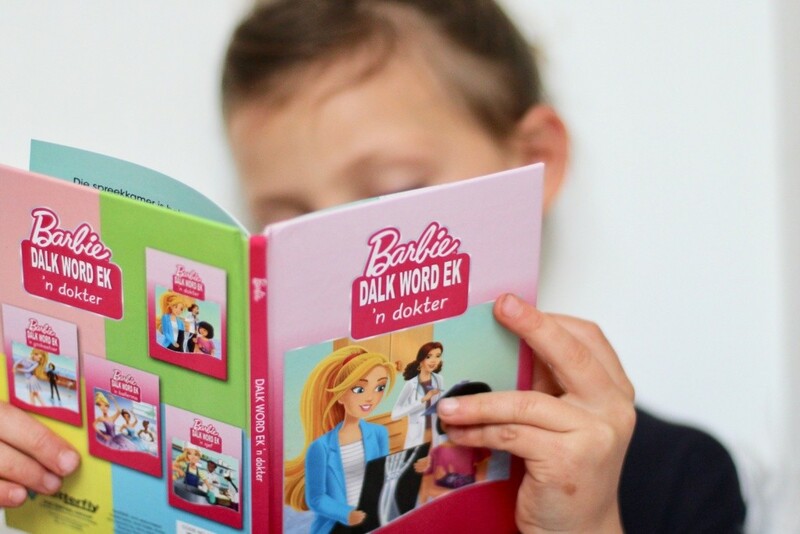 Ons klein boekwurm wil graag eendag wanneer sy groot is ook n dokter wees, haar gunsteling is Barbie die dokter of Barbie die veearts. 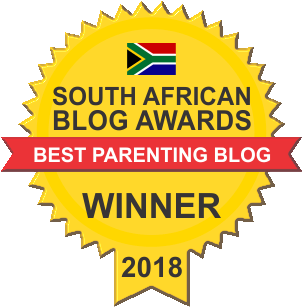 💖 dit dat ons Ilaina so lief is vir boeke!